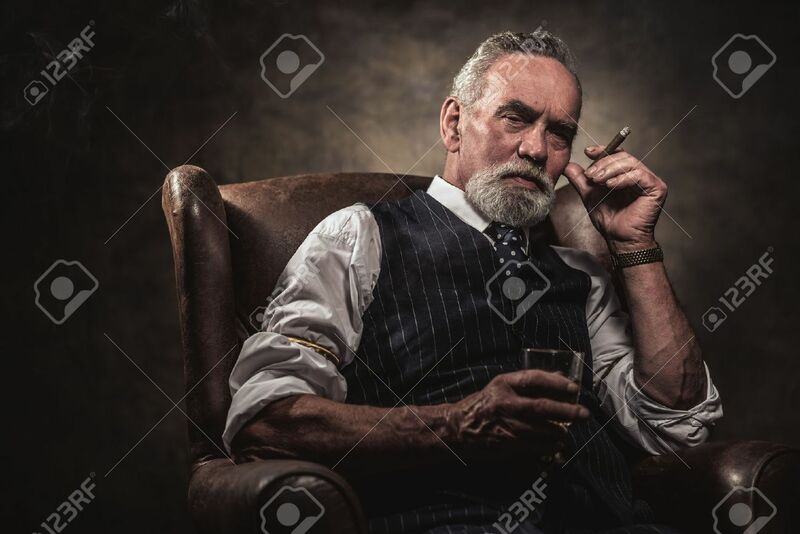 In Chair Sitting Senior Business Man With Cigar And Whisky. Gray.. Stock Photo, Picture And Royalty Free Image. Image 32034970.